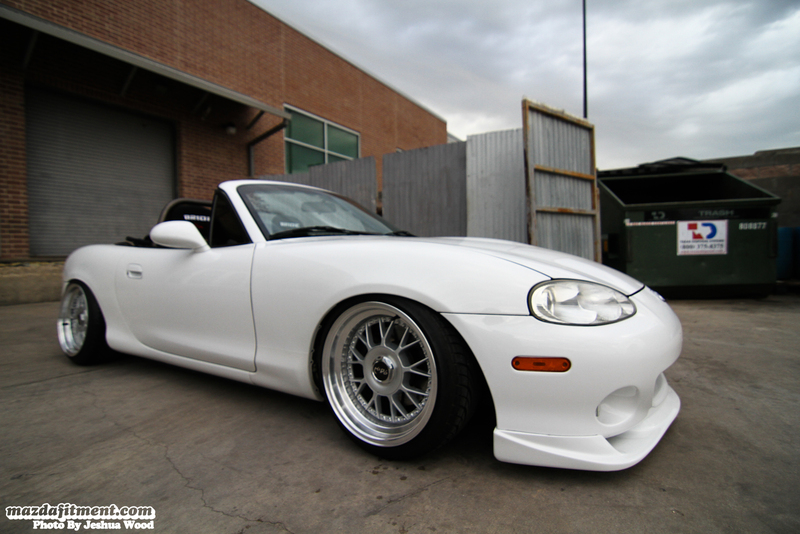 We are back in “The Lone Star State,” Texas, with this 2003 White Mazda Miata NB. 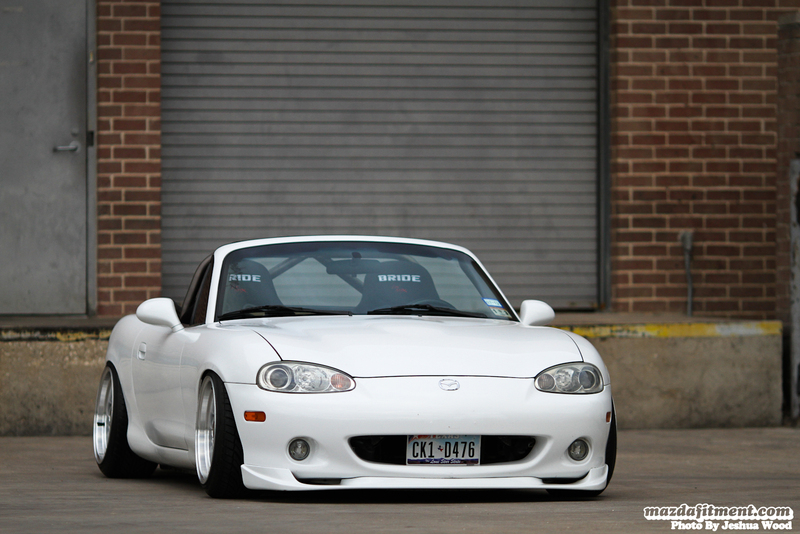 I believe this is our first time featuring a NB generation Miata here on MF, since it has always been a NA 1st generation model. 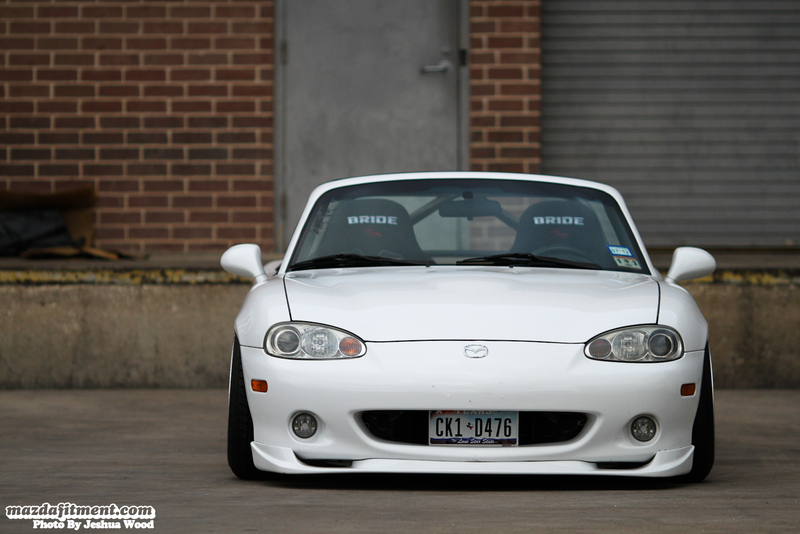 This roadster is owned by Abel Suarez from Austin, Texas. 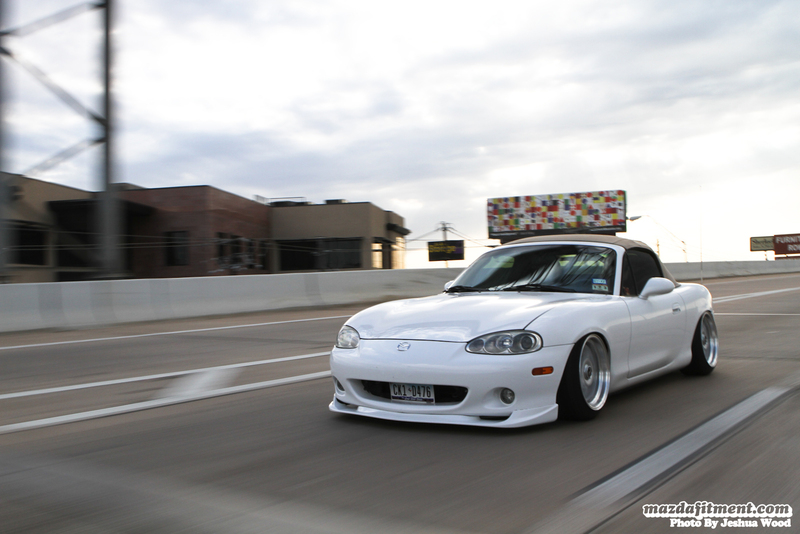 Abel started his journey by first owning a few beat-up and unfavorable cars, but soon got his hands on what he always wanted, a Miata. He picked a Miata after hearing all the great things about their handling and how amazing they drive while still being on a budget. When Abel first got the car it was being planned to be an Auto X car, but he feel in love with being more slammed. So, he decided to go straight for looks, and loved the life-style behind it. Abel wanted to go for a simple look that drew some attention to people, but did not scream, “Hey look at my car!” with a ton of stickers and bright colored wheels. He wanted it to be a slightly proper Miata. Simple and sweet. Definitely, turned out to be just that to us. 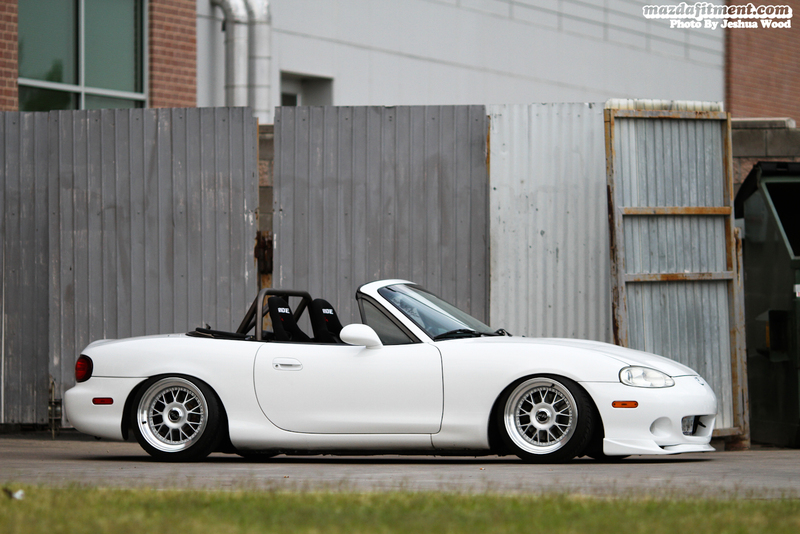 The suspension is set with Stance coilovers with 10k front and 6k in the rear springs. On Miro STP-1 16×9 +15, effectively set to +9 in the front and ±0 in the rear, with a 205/40/16 tire all around. 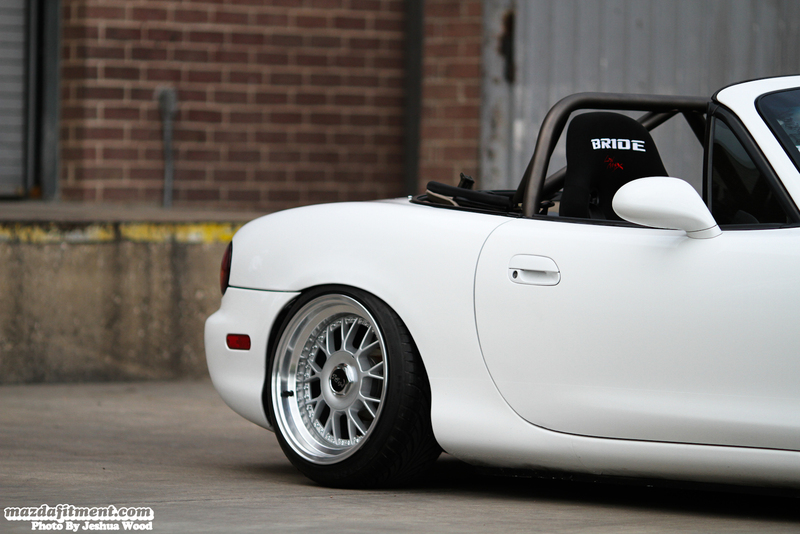 The interior is set with Bride seats, Hard Dog roll bar, and Blox shift knob. 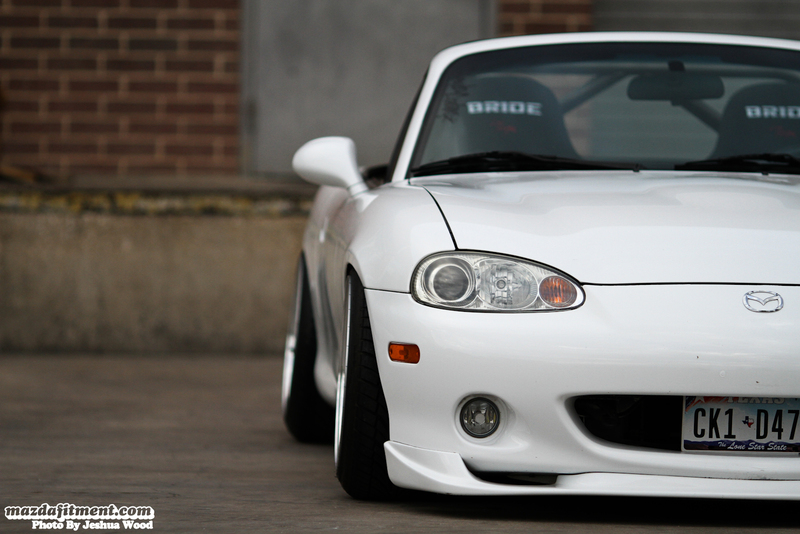 Front end with a Touge Run G-Style front lip. Abel rolling through the city of Austin with that proper look. Say “Hi” to him if you see him. 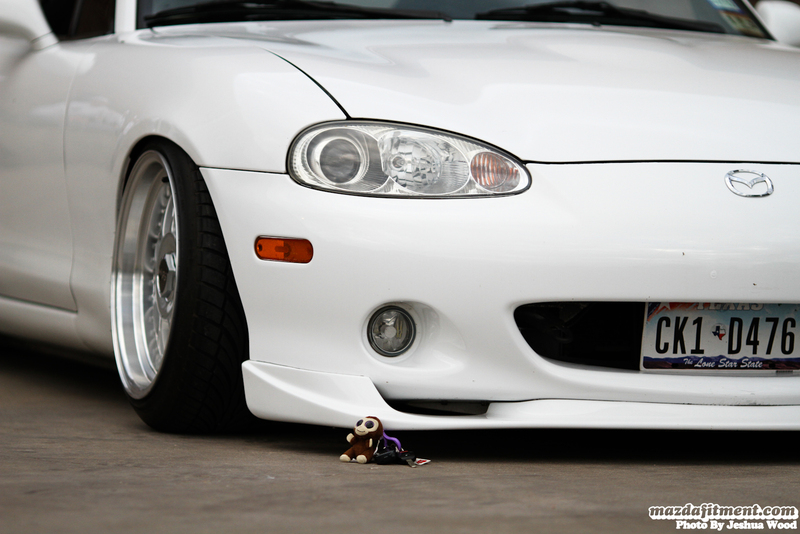 Thank you for Abel for submitting his car to us, and Jeshua Wood for getting his car shot for everyone to see. Abel would like to give a shout out to Mando Customs in Austin, Texas. Hope you guys saw the simple and proper aesthetics of the car that make it what it is. There are a few more pictures in the the photo gallery below. Enjoy.